Straddling the North Carolina and Virginia border between I-85 and I-95, Lake Gaston is a 20,000-acre lake bounded by the Kerr Dam and Gaston Dam and borders the counties of Mecklenburg and Brunswick in Virginia and the counties of Warren, Halifax and Northampton in North Carolina. There is public access at the Lake Gaston Day Use Area, located on 2369 Jack Brown Road, along with a fishing pier, boat ramp and public swimming area. 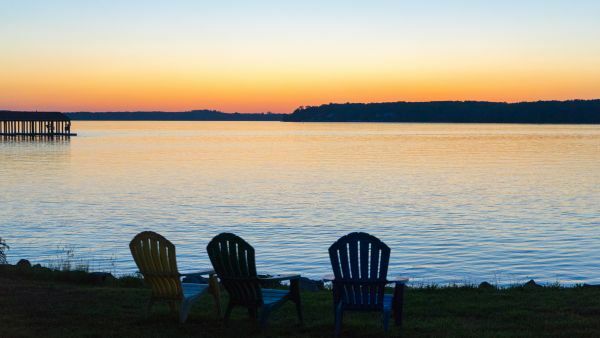 Lake Gaston is well-stocked with game fish, which include striped bass or rock fish, large mouth bass, crappie, sunfish and several varieties of catfish. Other species of fish sometimes caught are walleye, yellow perch and chain pickerel. A valid license for either Virginia or North Carolina permits fishing from a boat in either state. No license is required for those under 15. Contact the Gaston Chamber of Commerce at (866) 730-5711 or www.lakegastonchamber.com for more details.